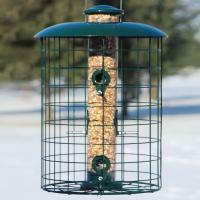 Holds 5.3 qts (approx. 6.6 lbs) of seed. 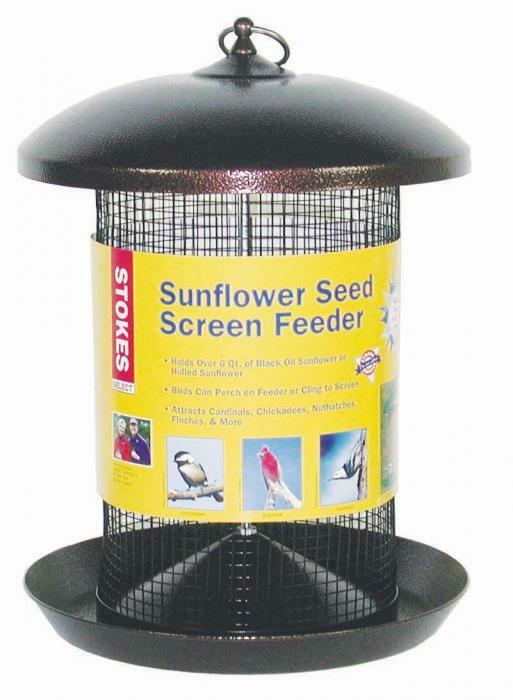 Screen designed for large seeds such as black oil sunflower or wild bird mixes. 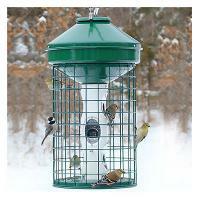 Birds can perch on feeder or cling to screen, whichever is most comfortable. 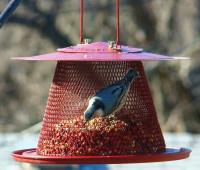 Attracts Cardinals, Chickadees, Nuthatches, Finches and more. 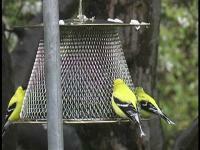 My finches love this feeder, they haven't touched any other feeder since I hung it and the squirrels have given up, though frustrated.